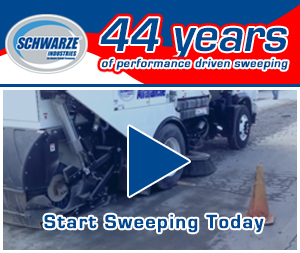 In taking with numerous contractors and owners of sweeping companies and paving companies month after month, I always ask them what their biggest challenges are and how they overcome them. Time and time again the answer is that their biggest challenge is finding and keeping qualified workers and technicians. In fact, a testament to this is that on many websites of small business owners in the power sweeping industry you find forms for “Employment Opportunities.” These business owners lament the fact that one of the major reasons why they often have difficulty finding qualified workers is the specialized nature of their work. Familiarity with the equipment, machinery, and technology is unique to the industry. 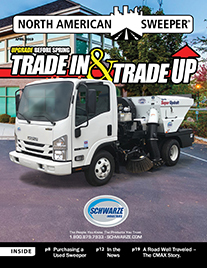 Knowing how to operate a sweeper truck will all of its attachments, functionality and operating procedures; knowing the process of catch-basin servicing; how to work a milling machine; a paver and all of the other specialized equipment is definitely a skill that has to be learned. 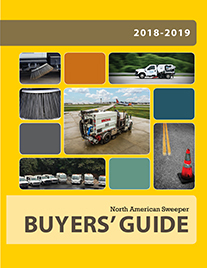 Plus, all of the local, state, and federal requirements, regulations, and compliance issues facing work in the power sweeping industry just enlarge the complexity of the knowledge-base required to be a qualified worker. 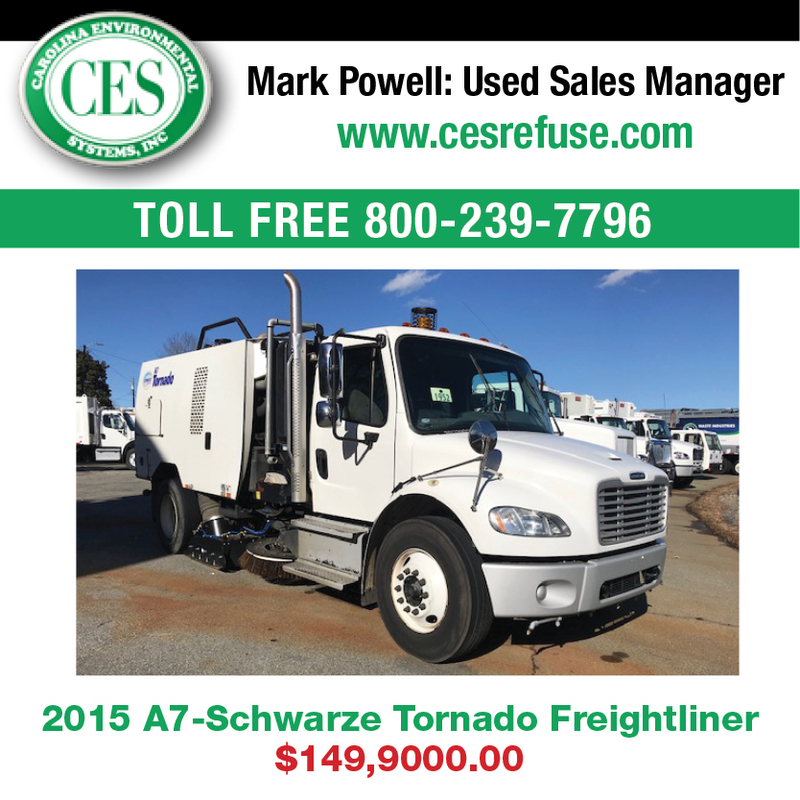 Finally, there are all of the safety issues involved in properly operating all of the different kinds of equipment and machinery. The U.S. Small Business Administration (SBA) provides information to small businesses on how to go about solving employment dilemmas. Their first recommendation is that small business owners should compose a “staffing plan” something that many small business owners often don’t put much thought into because they are certainly busy with many other aspects of their business. Part of a good staffing plan is to know the pros and cons of hiring different types of workers. Do you want to have all full-time employees on board, do you want to hire only temporary workers, do you know about the temp-to-hire options available, what about the pros and cons of hiring independent contractors versus employees? What are the pros and cons of hiring family members to work for you? Hiring full-time employees has its pros and cons. One of the main benefits is the potential for establishing long-term relationships with your employees, giving them time to learn the company culture, having time to properly train them they way you do things, and generally receiving commitment and loyalty to your business goals and objectives. In return hiring someone as an “employee” means having someone on your payroll, giving them the right to receive health benefits if offered, retirement planning if offered, adequate vacation time, designated break-times and mealtimes, as well as them having a right to workman’s compensation if hurt on the job, and other requirements. I use the word “right” in the legal sense of the word. All of these of course come with subsequent financial commitments on the part of the employer. If employees have a “right” to these, then employers are legally obligated to provide them and can run into real trouble with labor and tax laws if they do not. To bypass some of these legal obligations, one can hire independent contractors or freelancers to do work for the company. If fortunate, it is one way of finding already trained specialists who know the work. It offers the benefit of flexibility also because you can hire independent contractors on an hourly or project basis. Plus, there is little to no supervision required, and they work independently for the most part. Plus, because they are not “employees” of your company, they are not entitled to all of the salary and benefit payouts that employees regularly receive from their employers. Check out the SBA publication “Hiring Independent Contractors Guide” available on their website, for more information. Another possible solution to the dilemma of finding qualified employees that the SBA recommends is to take advantage of the skills and expertise of a staffing agency, recruitment firm, some service that specializes in finding just the right employee for just the right kind of work needed. For one thing, the SBA recognizes that many businesses turn to staffing agencies when they need to cover gaps in their employee line-up. This is especially true if one of your team members takes an extended lead for some reason or another, or is on medical leave that requires a lengthy recuperation, or someone is on leave to have a baby or adopt a baby. So, using a staffing agency to find the appropriate temporary workers is certainly an option. Staffing agencies provide the flexibility needed. The SBA reminds us, however, that there is often a percentage fee that the staffing agency requires as part of their services. Finding temporary workers is often difficult in the technical trades like power sweeping, however due to the skill-set needed. A “temp” cannot normally step in and hit the ground running. 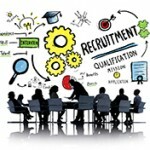 Because availing yourself of the services of Staffing Agencies requires the payment of a fee to the agency for their services, it is fitting for the small business to do their research to find the best staffing agency and to be reassured by that agency that their investment will be worth it. If you do your research and learn about the process you will find that there are some immediate benefits of using a staffing company. For one, most small businesses don’t have the resources to have a human resource expert on board trained to recognize great talent. 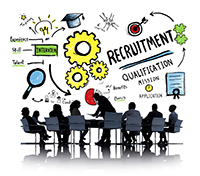 On the other hand, a qualified staffing agency has been in the human resource business for a long time and they have all the resources needed, especially time, experience and expertise. Great staffing agencies are skilled experts at recognizing top talent and then perfectly matching them to the unique demands that your missing piece of the employee puzzles requires. A skilled agency can remove the effort of the hiring process. Qualified agencies provide assurance that all of their candidates have been extensively pre-screened through in-depth interviews and testing and you should be confident that they will recommend only the cream of the crop. Taking advantage of a staffing agency can relieve you of all the stresses and headaches that sorting through resumes necessitates, merely to wind up with potential candidates that only look competent on paper. Working with a qualified agency you should be confident that when they refer a candidate to you he or she will be just the kind of fully qualified member of your team that you have been searching for but can never seem to find. Another benefit is the time and money you can save. Very often the costs of advertising spent in order to find that perfect candidate can be unreasonably expensive. You then have to pay out even more money while your hiring committee (sometimes one person) takes the time needed to accumulate and then vet all of the resumes they receive. Next, time and capital are used up reviewing them, as well as scheduling and then conducting interviews. So, the time, money and resources you are shelling out could instead be used to pay a recruitment agency to do the work for you. Do Staffing Agencies Deserve an Unpleasant Reputation? There is often skepticism in the minds of many about what exactly a staffing company is and does. This kind of skepticism is nicely expressed in a 2012 article by staffing expert Matt Lowney from ERE Recruiting called “What Drives Me Nuts about Staffing Agencies…” He starts off by saying that after sitting through more than 100 staffing agency “pitches,” they all end up sounding basically the same. According to Lowney, two “pitches” are almost universal. Doing some research led to a staffing agency that seemed to take a different approach. Their philosophy as stated on their website reads: “The first thing likely heard from a staffing agency you are thinking about using in order to find a qualified employee is: “Us, us, and us”! “Our company, our product, our service is the leading…, the best…, the only…” and so on. What they don’t realize is that the most important word in the staffing business is not “Us”, “Our”, or “Me”, but rather the word “You”. If they are doing all of the talking, they are not listening to what your particular staffing needs and challenges are! From the first e-mail or telephone conversation, the center of attention should be “You”– “What do you really need?” What specific problems are you dealing with?” and “How would you like to see this resolved?” Beginning from this client-centric approach will more effectively uncover the real challenges and needs you face…You want to be listened to, cared about, and have your problems solved, not just ‘sold’ or “marketed’ employees.” The name of the company is Infinite Business Relations (IBR) and the President of the company is Dave Ellison. Ellison says about his company that “our goal is not to just have a list of ‘staff’ or ‘employees’ on hand. You don’t want to be ‘sold’ or ‘marketed’ workers. We work hard to maintain a genuine talent community.” IBR’s talent community includes employees in various technical and scientific industries. Below you will find website URLs to staffing agencies specializing in the kind of employees power sweeping companies are looking for, including: industrial laborers, machinists, CDL certified drivers, industrial machine operators, vacuum truck operators, street sweeper operators, etc. These sites are mostly national companies but you get the idea. There is no doubt a staffing agency in your city or area that specializes in just the kind of professional employees you have been looking for but can never seem to find.